We will only cover rewards-based crowdfunding here, as even though things will eventually change, this is the only legal form of crowdfunding available in the U.S. today. This means that you cannot give your supporters a stake in your idea’s potential future profitability or equity in your company. Instead, you can offer your supporters both intangible (a thank you, inclusion in an online list of supporters, mention in a film's credits) and tangible (a t-shirt, an autographed copy of your book, a digital download of your film or music, a finished version of your product/invention) rewards in exchange for their financial contributions. If you know someone who has successfully crowdfunded before, it would be a good idea to speak with them and ask for advice. The one thing they will all tell you is that it is a lot of work. So take this into account. Try and put together a team before you launch your campaign and delegate responsibilities if you can. Make sure that someone is always available to spread the word and also to answer, as quickly as possible, any questions asked online by your supporters. Pick a project that you are truly passionate about. Your supporters take your project seriously and so should you. Make sure you showcase your project well. A video presentation is de rigueur these days. If you are on a very limited budget, use a webcam and just record yourself describing the project but make sure your passion comes through. This means that your path should be Idea --> Need money for execution --> Crowdfunding, and never Want to Crowdfund --> Come up with idea. Believe it or not, launching your campaign on Crowdzu should be one of the last steps you undertake in your fundraising process. First, you have to make sure that you and your project have an established fan-base. The number of friends you have on Facebook is an indication of the likelihood of your campaign's success. So make new friends. Set up a Facebook fan page for your project. Inform everyone you know that you are about to start crowdfunding before you actually do. Let’s say you really want to produce a short film and you need to raise money to do so. Under normal circumstances, you may immediately turn to your family and a few close friends for financial backing for your project. This is an absolute no-no if you are planning to use online crowdfunding. Yes, your family and friends will be the first people you reach out to but you should only do this after your campaign has been launched and you should direct them to your project’s online page to pledge their support. You may think that raising money from those you know would be cheaper for you (no fees to pay) if you approached them directly. But this would be a case of being penny wise and pound foolish. You may find at the end of your campaign that much of the money you just raised came from family, friends, friends of friends and individuals within one of your spheres of influence. And these are the very people you want contributing to your campaign publicly. The more money you raise within your campaign, the more traction your project will achieve and the more support you will have from people on the fence about whether or not they should support your project. But let's tackle first things first. You have to create an interesting and visually appealing campaign. Key components include a video and a lead image that represent your campaign. You can embed additional video clips and images within the body of your campaign. Take your time and make sure that your campaign is free of typographical and formatting errors. Know that your supporters are not just interested in what you are doing but are also interested in you. Do not run your campaign anonymously. Upload your picture, or better yet connect with your Facebook account. Keep your profile updated. Log into your account often, so your supporters know you are actively involved with your campaign. If appropriate, connect with members of special interest groups or influential individuals who are ideologically aligned with your project and reach out not just for financial support but also help in promoting your campaign to their spheres of influence. Think about your funding goal carefully. You know you would like to raise X amount of money for your project, but don’t forget that you also have to pay Y in transaction fees and Z in commission to us after the campaign is successfully funded. And then there is the cost of fulfillment: the cost of producing the rewards plus the cost of delivering them to your supporters in a timely fashion plus any other related administrative costs. Perform a quick break-even analysis to examine whether you are setting your goal too low. If you have done your homework and have done all the preparatory groundwork, the ideal length of a campaign will be about 30 days. Most campaigns start out with a flurry of activity (usually contributions from family and close friends) and often end with another spurt of contributions with a trough of relative inactivity in the middle. It should be your goal to try and avoid this trough by campaigning effectively. This could involve reaching out to media, organizing local events, increasing your social media activity and more. Think creatively. While on the subject of rewards, try to be as unique and creative as possible when selecting yours. It has been noted that most supporters tend to contribute either $25 or $100. So make the rewards for these dollar amounts a little extra special. And, of course, pay special attention to the rewards for large contributions. Always remember that your goal should be to fulfill these commitments within the timeframe promised. So don't over-promise if you are likely to under-deliver later. Keep your supporters engaged with regular updates on fulfillment and the progress of your actual project even after your campaign has ended and answer all of their questions and concerns promptly. Remember you may need their support for another campaign down the road. You have to be prepared to do everything you can think of, and then more, to get the word out about your campaign. Use social media, blog about it, harness the power of your friends to reach out to their friends. Know that the phone and email are both your friends. 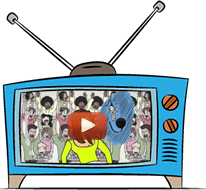 Crowdzu provides you and your supporters with tools to promote your campaign. So make sure you take advantage of them. And finally, consider consulting an accountant or tax specialist. There may be sales and use tax consequences for the rewards you are planning to offer and income tax liabilities for the money you raise. Please contact us if you have additional questions. If you are ready to get started, pitch us your project today. Have an account? Sign in first! So, what do you think about crowdzu? Privacy · Terms · © 2014-2019 Crowdzu Inc.
Find out more about crowdsourcing and crowdfunding via the Crowdzu Marketplace. We've just sent you an email with a link to confirm your email address. Please click the link in the email to confirm your subscription. What do you think about crowdzu?